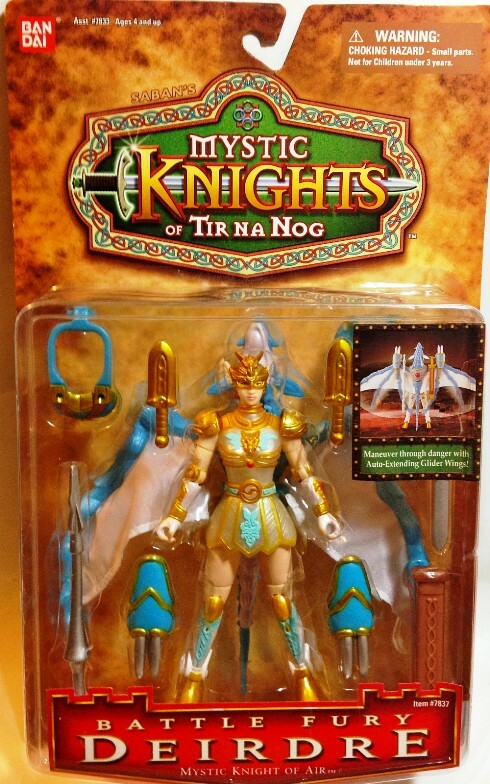 She's Fantastic: Mystic Knights of Tir Na Nog - DEIRDRE! Mystic Knights of Tir Na Nog - DEIRDRE! Saban and Bandai pretty much ruled kid culture in the late 1990s. All the hot Japanese-import properties of the time were under their corporate umbrella. Power Rangers, Masked Rider, Big Bad Beetleborgs, and VR Troopers barely scratched the surface of their empire. 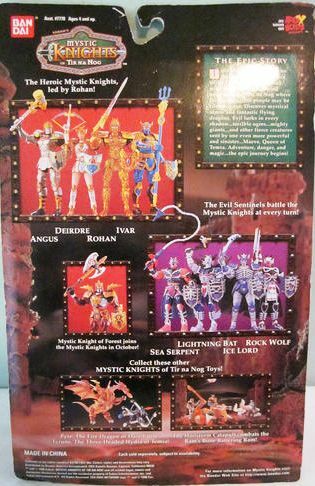 One very interesting experiment by Saban was the single-season Mystic Knights of Tyr Na Nog. This TV series followed a typical tokusatsu formula of a group of heroic teenagers being granted special powers (and costumes) in order to fight some form of mystical evil. The twist with Mystic Knights is the setting. The show takes place in a historical Ireland that is fully engulfed in mysticism, monsters, and mythology. 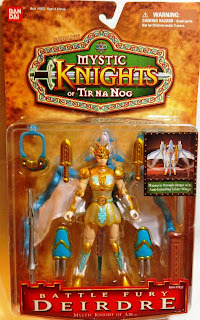 Princess Deirdre is the sole female hero and becomes the Mystic Knight of Air. Each of the 4 heroes (later 5) embodied a natural element: Air, Fire, Earth, Water, and the latecomer hero has control over Animals. It was a cool concept that resulted in some cool toys. Let's check her out below! 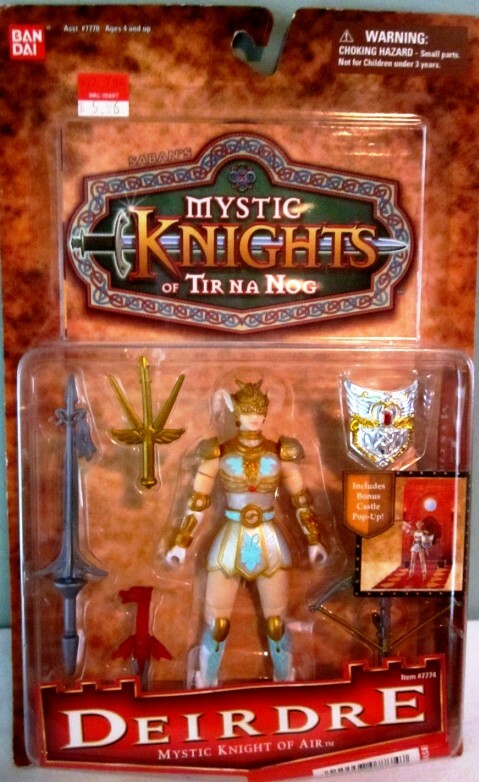 This same figure was packaged with different accessories as "Battle Fury Deirdre." The white parts of her armor have a nice pearlescent sheen that doesn't quite show up in the photos. Deirdre comes with a ton of Weapons. Her main weapon is a crossbow that shoots "bursts of air." I'm not exactly sure which on that is, but they are all pretty cool. Here's the opening sequence for your amuesment.